Re-usable, versatile and great, great fun. 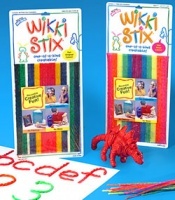 The Rainbow Pack has 24 8-inch Wikki Stix in 6 rainbow colours (red, orange, yellow, green, blue, and purple), plus sheet of ideas and activities. 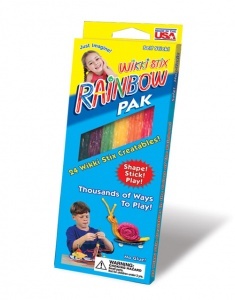 Twistable, flickable, buildable, stickable. 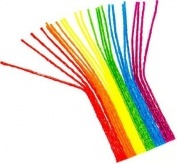 One-of-a kind creatables.